The Weekly Stuff Podcast #203 – Nier Automata, Sonic Mania, Hellblade, Twin Peaks Part 14 & More! It’s a game review extravaganza on this week’s show, as we give a short pre-review of the wonderful Sonic Mania (full thoughts coming next week! 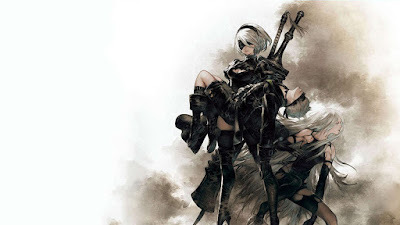 ), Jonathan gives his take on the outstanding and harrowing Hellblade: Senua’s Sacrifice from Ninja Theory, and we both dive into a belated spoiler-filled discussion of Nier: Automata, the game Jonathan foolishly complained about last week. We also, of course, discuss the latest episode of Twin Peaks: The Return, “Part 14,” easily one of the best episodes of this amazing series. And at the top of the show, Sean reviews some new Godzilla Blu-rays while Jonathan gives some quick thoughts on the DuckTales reboot on Disney XD.